With a 3-year-old in preschool I needed to come up with something special this Valentine’s Day for all her new friends. I wanted to avoid candy so I took her for a stroll through the party section of a store and asked her what she wanted to give her friends. She picked glow sticks, her fave. 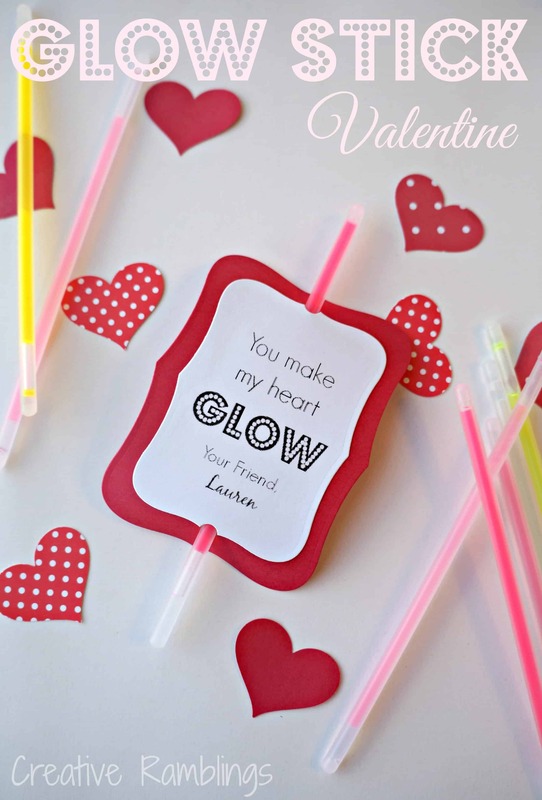 This was perfect, I had already pinned some adorable glow stick Valentines and had some great ideas to make my own simple version. She needs about 15 to cover her school and church friends so I didn’t want these to be complicated. I created and printed a punny little note on white card stock for each glow stick. I just used Picmonkey; nothing special, no color, no graphics. A little colored card stock and of course a brightly colored glow stick are all I needed. I used a label die to cut a pretty shape out of the white card stock and layered it with red card stock in the same shape. Then I punched 2 holes, top and bottom, to hold the glow stick. No wrapping, no candy; pretty easy to punch out 15 of these. And what kid doesn’t love glow sticks, right?! 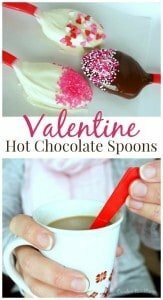 What are you doing for your kids Valentines this year? 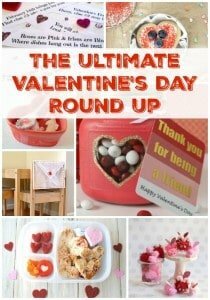 Want to see more great Valentine’s Day projects? 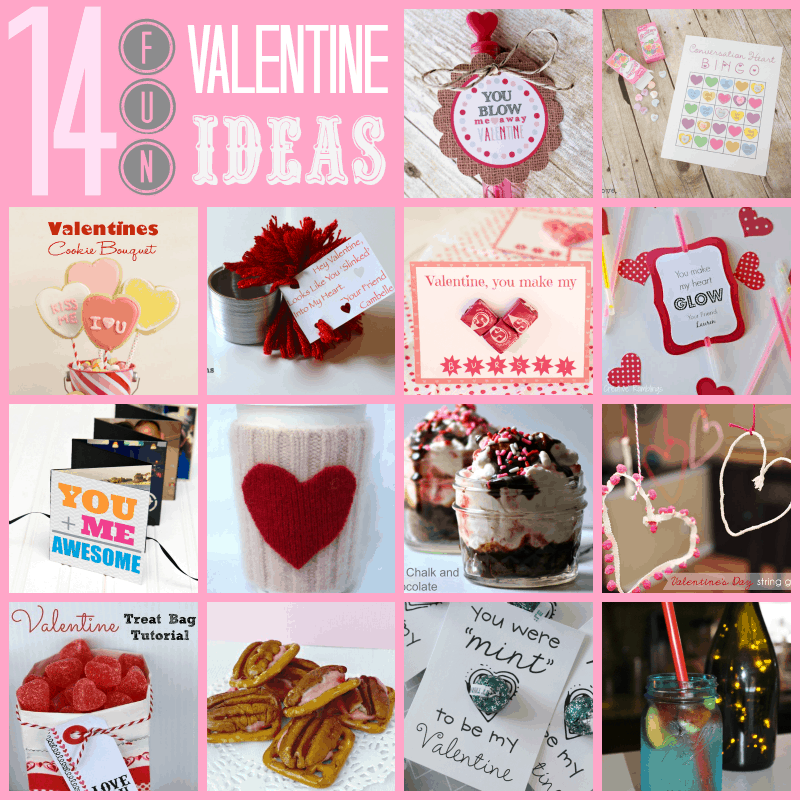 Check out these 14 fun ideas below from some amazing fellow bloggers. So cute. 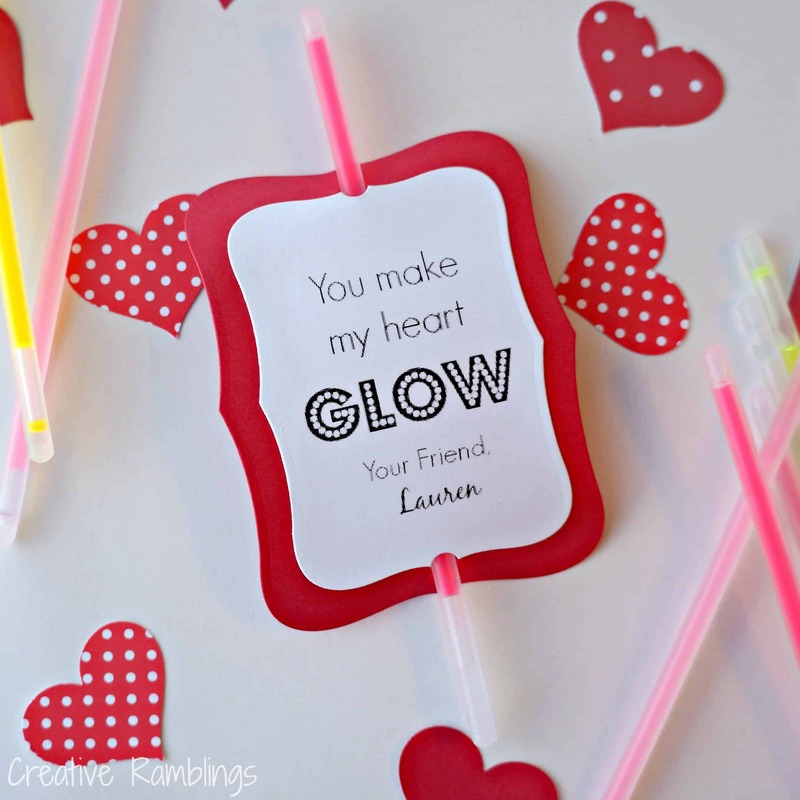 I love glow sticks and am sure all of the kids who got these did too! Thanks Britni, kids do love these! Have a great night. Cute and a “bright” idea! Sure is bright! Thanks Jeannie. Fantastic idea! There is something magical about glow sticks! They are perfect for all occasions! lol! Oh yes I agree Tiff! Thanks for visiting. So fun and SUCH a great alternative to candy! I remember glow sticks being a hot ticket item when I was a kid! Me too Amy, I think they can be fun at any age. Thanks for stopping by tonight. Thanks for sharing. Very cute! Parents will appreciate the glow stick, rather than candy! That was my thought Michelle! Thanks for stopping by. My boys LOVE glow sticks! What a fun valentine!! This was one of my “knockouts” from last week’s Hit Me With Your Best Shot party! Thanks SO much for linking up! Thank you Shelly! Always fun to link up at your party.